Jason is a 5-time tech entrepreneur. His latest venture is Klue, a competitive intelligence platform for enterprise sales funded by OMERS Ventures. 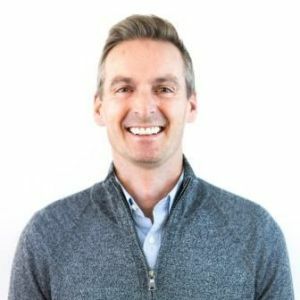 Prior to Klue, Jason was President of Vision Critical, helping take the company from startup to 500-person customer intelligence SaaS leader, with clients such as HP, Nike, BBC, Gap Inc., Conde Nast, and Nestle. Jason helped build a direct to consumer ecommerce company, co-founded group buying marketplace buyZoo and one of Canada's earliest startup successes, Columbus Group, a 100-person digital agency pioneer acquired by TELUS (NYSE:TU). He also served as VP at Electronic Arts. Jason graduated with distinction from UBC's Sauder School of Business, received both BDC’s and Ernst and Young's Emerging Entrepreneur of the Year and Business in Vancouver's Top 40 under 40. In 2012, he took a round the world gap year with his family exploring 13+ countries, including Egypt in the middle of the revolution. When not in the office, you’ll find Jason in the mountains on a bike or board.